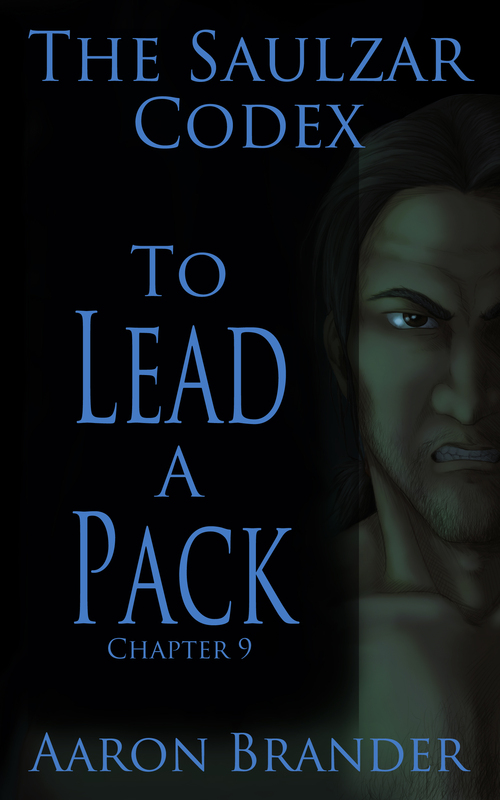 I’m happy to announce that To Lead a Pack is available! It is the ninth chapter in the Saulzar Codex – a series of short stories focusing on Saulzar, a fierce warrior battling to overcome his own past. You can learn more about the project here. I’d love for you to stop by and pick it up. It’s a short story at 7,000 words and is priced at $0.99. The thick clouds parted and a shaft of moonlight speared down to silhouette his prey in its silvery light. Saulzar crept forward, silent and wary. His hair was matted and greasy, his clothes torn to tattered shreds, his feet bare. And he was hungry, so very hungry. The rabbit sniffed the air. Its large ears twitched right. “Damn him,” Saulzar breathed. Mane, the youngest wolf, had made a sound. Saulzar tensed, waiting for Mane to spring the trap. A shadow erupted into motion. The rabbit screamed. Saulzar sprinted. His heart beat loudly in his ears as he flowed across the field. Mane pushed the rabbit left, angling towards Saulzar. It was fast, much faster than Saulzar would ever be, yet Mane closed on it in bounding strides. Saulzar gambled and angled farther left. He took ten long strides and turned back to his right. Mane closed on the rabbit which zigged and zagged in the moonlight. Mane was close to the prize, his mouth open and ready for the lunge. Then Dane darted into the fray from her hiding spot. “That’s my girl,” Saulzar said. Dane flushed the rabbit left, directly at Saulzar. With two wolves in hot pursuit, the rabbit did not fathom that the human was a threat. Saulzar slowed and crouched, ready to dart in and catch it. The rabbit screamed and died as teeth closed around its neck. Batai had lunged at the last moment to claim the prize. Saulzar slumped down to the ground next to the big wolf, breath coming in ragged gasps, strength ebbing. He would have to settle for scraps as Batai feasted.